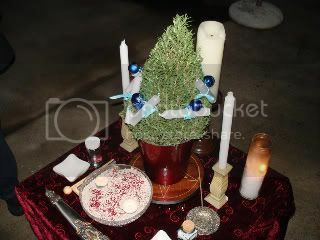 We had a beautiful sunrise Yule circle this year, and welcomed friends and family to it. It was held in Silverlake at the home of two of our sisters, and we welcomed the sun and the new year. Click the photo above to be taken to a few photos (more to be uploaded this week).